Its a perfect day on the Trans-Mong 004. Listening to my Pink Floyd back catalogue (turned up slightly too loud) in my compartment whilst I update the blog. We are about 30 minutes behind schedule – I don’t know why. We left Irkutsk on time at about 04.30 (local) and have been weaving around vast frozen lakes most of the morning. 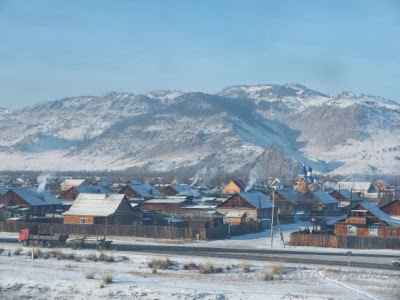 By chance I was just walking back from my ablutions at about 09.30 (local) and I nearly dropped my toilet roll when I looked out the window to see Lake Baikal – absolutely massive, stunning, like a sea, and partly frozen. I wish I had planned that better.. I walked back to Little Russia for my final meal as the Russian restaurant is peeling off at 16.00 (local). 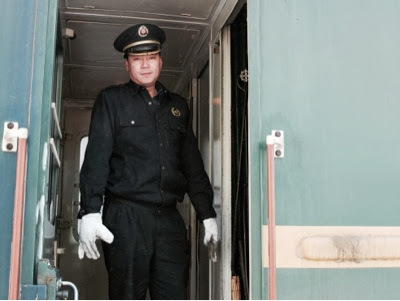 On the journey back through second class you get to see a real slice of Trans-Sib life – Europeans sharing mad travel ideas over instant noodles, Mongolians mainly sleeping or drinking, Russians playing dodgy DVDs on old laptops, and Chinese guards making dumplings. I took some shots of the Russian menu so I will separately post it under a “food” label in case you are reading this wondering how you might survive on “Pot Potato” for a week.. 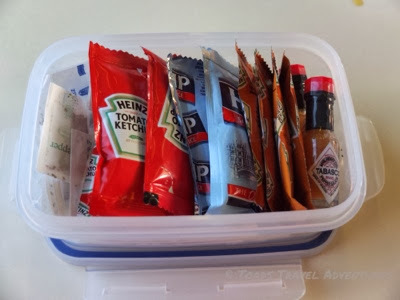 I have broken out my condiments box today for the first time as everything has begun to taste the same to me. Closer to home a minor disaster was narrowly averted last night. My Dutch neighbours (with whom I share a bathroom) left the shower on – all night. Given that my English neighbours on the other side had a flooded compartment when someone had too long a shower yesterday, I have been quite lucky. What has saved the situation is that it was left on as hot as it goes, so the drain did not freeze. There was a kind of sauna effect in there, but no flood. If this were a submarine it would have been a court martial offence. I’m not going to mention it though – I hardly ever see them and think they are living on Moscow time (madness). Let’s hope we have enough water left until next re supply. The samovar won’t boil this morning, but I think that’s an unrelated problem. “Mr Blond” says simply “later” when I ask him about some hot water for my morning fix of reasonable coffee. I don’t know if he means it will be fixed in a few minutes or a few days. That’s a bit odd given we are burning tonnes of coal each day to keep the carriage at South East Asian jungle temperature. Ulan Ude was a great stop this morning. Bright, sunny and freezing cold. Actually the words “freezing cold” do not adequately describe how cold it is, seriously cold – I would guess -15 to -20 degrees. It’s an official train 004 dress code order – ushanka ear flaps will be worn down..
People look a bit different here – not so much European and Eurasian with darker skin and rounder faces – to me they generally seem happier too – despite the temperature everyone seems in good humour, except my second carriage guard “Mr Green”, but he’s not a humorous person.. 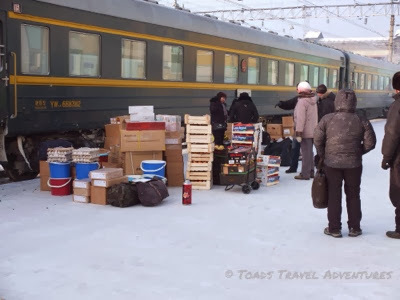 The platform is littered with fruit, nuts and stacked supplies that the Mongolian traders are shipping over the border as “hand luggage”. I’m sure that Michael O’Leary would have an apoplectic fit if he ran Russian Railways! 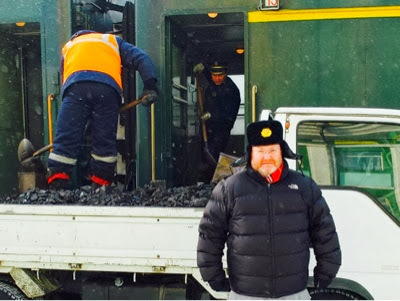 We have swapped crews and locomotives again and are now making slow but steady progress up hill towards the border with Mongolia which we will reach at about 17.00 (local). This means I’m dining “at home” tonight as there will be several hours of border games, which I will report on later. The scenery is quite amazing as we leave behind the rivers and forests and climb hills toward the flat plain that forms the edge of the Gobi desert. Leaving this blog now as I feel the need to play air guitar slightly wildly to “Animals”! I have shut my compartment door, and hope no one catches me doing this.